Currently there are 6 key organizations which jointly provide supports to the healthy and sustainable development of Wenzhou Hongfeng. Click on the following picture for detailed introduction about them. 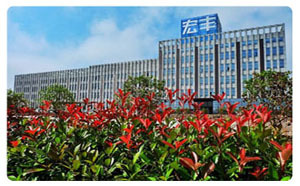 It was founded in 1997 and is a National High-tech Enterprise focusing on R&D, manufacturing, marketing and technical services of alloy materials. It is the first alloy materials company in China to be listed on the Chinese stock market (stock code:300283). It has 3 main production bases and its products include electrical contact composite materials, thermostat bimetal and cemented carbide. 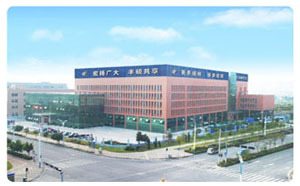 Office address : No.5600, Oujin Avenue, Oujiangkou industrial cluster,Wenzhou, Zhejiang, China. It is the wholly-owned subsidiary of Wenzhou Hongfeng Electrical Alloy Co., Ltd.. It is located in Wenzhou Economical and Technological Development Zone, 6 kilometers to Longwan International Airport, 3 kilometers to urban light rail station and 30 kilometers to Wenzhou high-speed train station. It specialized in R&D and produces all kinds of cemented carbide blanks and further processed products. The products are widely used in machinery processing, electronics, aerospace industry, excavating and chemical engineering etc. Address: No.1633, Binhai First Avenue, Wenzhou Economic& TechnicalDevelopment Zone, Zhejiang, China. Wenzhou Hongfeng Matal-matrix Engineered Composite Material Co., Ltd. It is the wholly-owned subsidiary of Wenzhou Hongfeng Electrical Alloy Co., Ltd.. It is located in Wenzhou Economical and Technological Development Zone, 6 kilometers to Longwan International Airport, 3 kilometers to urban light rail station and 30 kilometers to Wenzhou high-speed train station. It is the leading R&D and production base in thermal bimetal and components in China. Add : Address: No.808, Binhai 2nd Avenue, Road 9, Wenzhou Economic andTechnological Development Zone, Zhejiang, China. Wenzhou Hongfeng Special Material Co., Ltd. 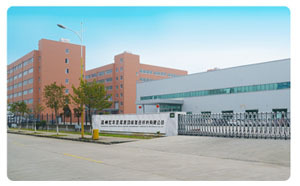 It is the wholly-owned subsidiary of Wenzhou Hongfeng Electrical Alloy Co., Ltd... Its building scale is 170,000 square meters, and it will become the largest R&D and production base of functional electrical contact composite materials and components in new materials industry after integration. 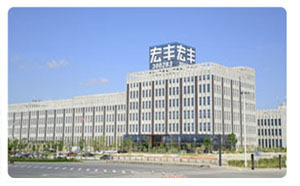 Address: No.5600, Oujin Avenue, Oujiangkou industrial cluster,Wenzhou, Zhejiang, P.R.China. It was founded in April 2016. 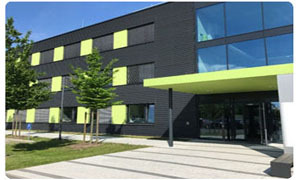 It is a wholly-owned subsidiary of Wenzhou Hongfeng Electrical Alloy Co., Ltd. it located in the Technology Center of the Science Park in Hanover, it is a service and logistic center for Hongfeng’s European customers. 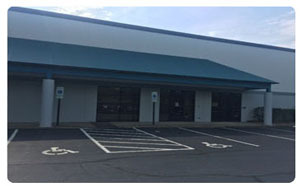 As a wholly-owned subsidiary of WZHF in the United States. The business scope of the corporation is to engage in the importation and exportation of materials, including marketing, distribution, R&D and after-sale services for electrical contact materials, electrical accessories components, composite clad contact materials and metal materials.